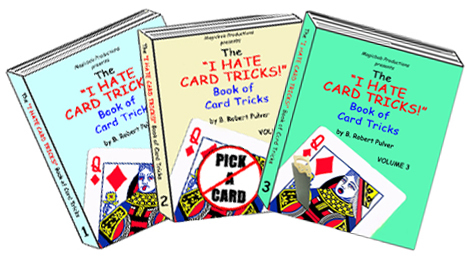 Volume Three features card effects based on both classic and contemporary stage illusions. This effect is based on the "Aztec Lady" illusion. 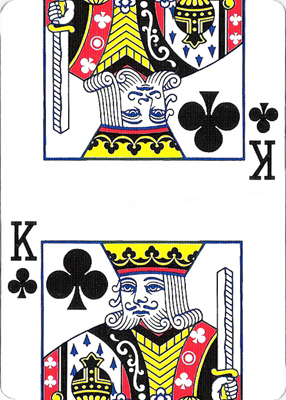 A Queen is placed into a playing card cabinet. She can be clearly seen through windows in the front of the cabinet. The top pieces are rotated outward. The bottom half of the Queen can be separated as well. The Queen has been split into four pieces. The cabinet is returned to its original configuration and the Queen is removed completely intact. 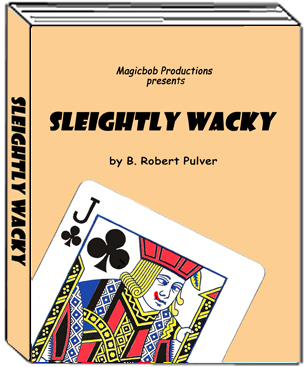 This effect is not based on a specific stage illusion but is, instead, a concept for a variation on "The Mismade Girl" using, not one, but two assistants. 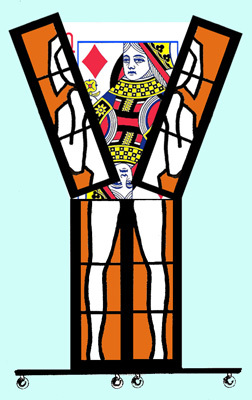 In this version, the two assistants are placed halfway into each end of the cabinet. Both assistants are cut in half. 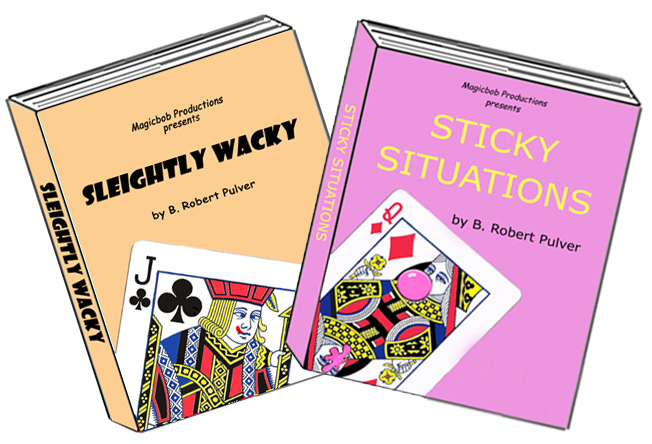 The remaining halves miraculously join to form a single, solid "mismade" card. 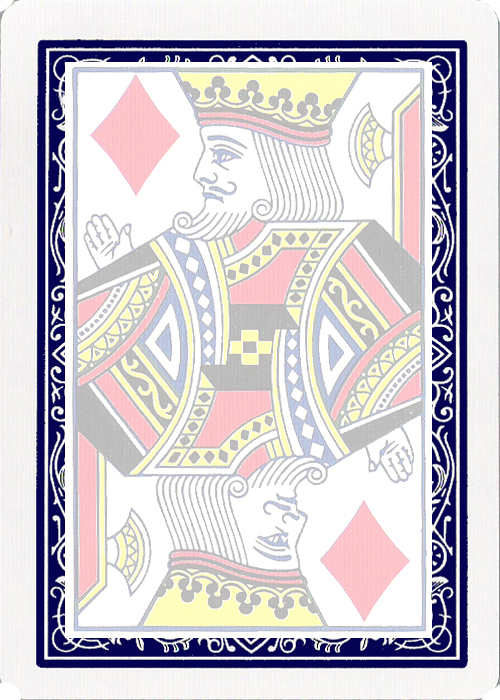 Several alternate graphics are provided, allowing you to use a King and Queen, court card and spot card, etc., resulting in various "mismade" combinations. This effect recreates Servais Le Roy's classic Palanquin illusion. A box resembling an ancient litter is shown to be empty. 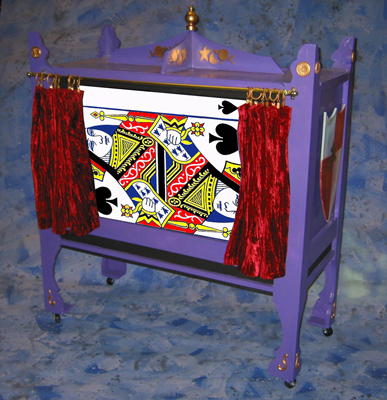 A playing card curtain is pulled across the front. 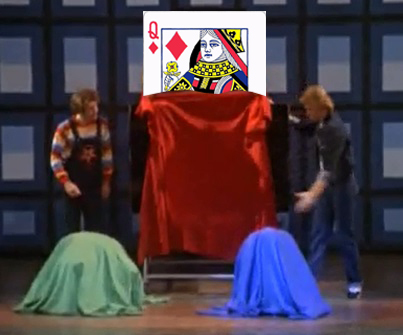 The curtain is quickly pulled away to reveal a woman (playing card Queen) now inside the box. This effect takes its inspiration from David Devant's masterpiece illusion, "The Mascot Moth." 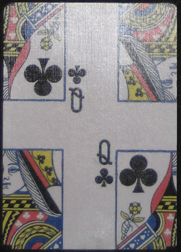 A playing card Queen is displayed. 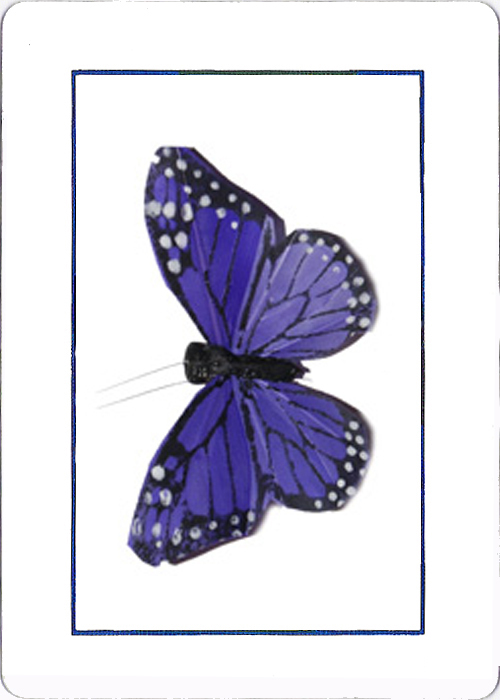 The spectator draws a butterfly on the back of the card. The Queen transforms into the image of a butterfly. 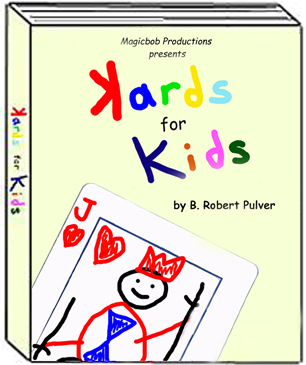 The butterfly drawing is shown to still be on the back. 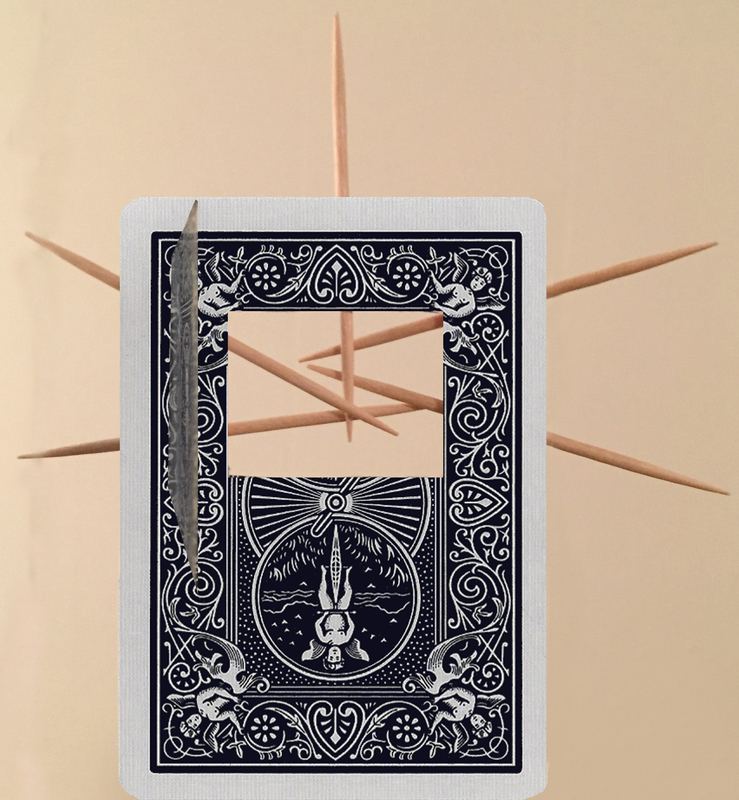 The butterfly image on the front of the card then magically materializes and becomes a “real” butterfly (and may fly away), leaving a blank card behind with the spectator’s drawing still on the back. 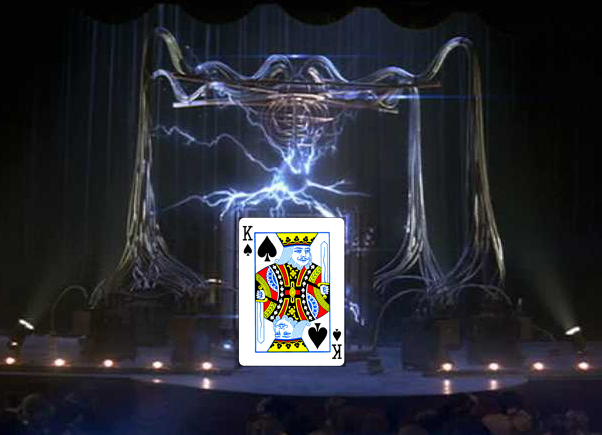 Inspired by the movie of the same name and the climactic illusion in which Angier vanishes from the Tesla Coil and reappears at the rear of the theater balcony. 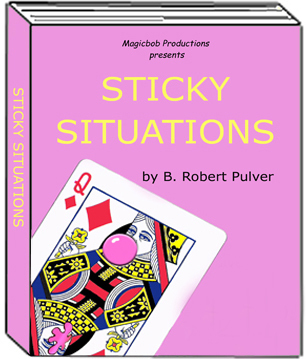 This effect is based on the famous "bullet catch" plot. 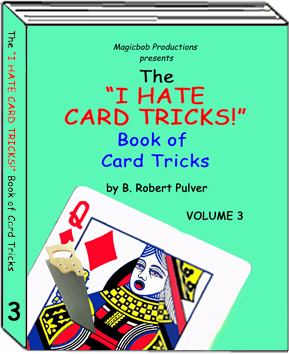 A signed card representing the magician is shown. 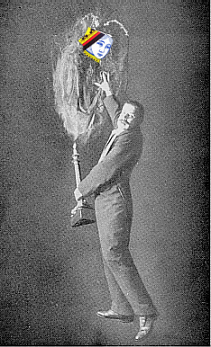 A "blindfold" is tied over the "magician's" eyes. 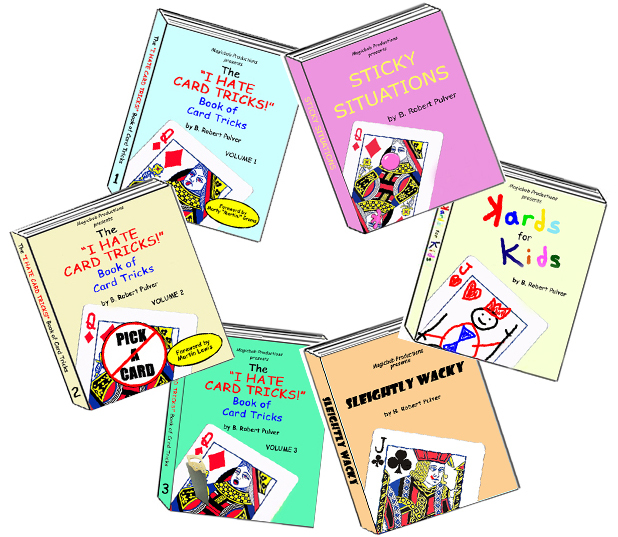 A toy gun is fired at the card. 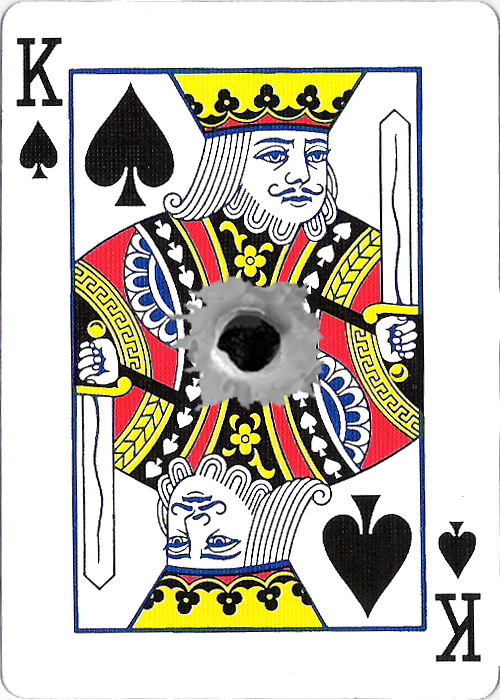 When the blindfold is removed, the picture on the card shows that he has caught the bullet. The procedure is repeated with a second spectator. When the blindfold is removed, the card now also has a real bullet hole! The card has both signatures on the back. Bonus Effect: Faster Than a Speeding Bullet - this variation features a comic book super-hero theme. 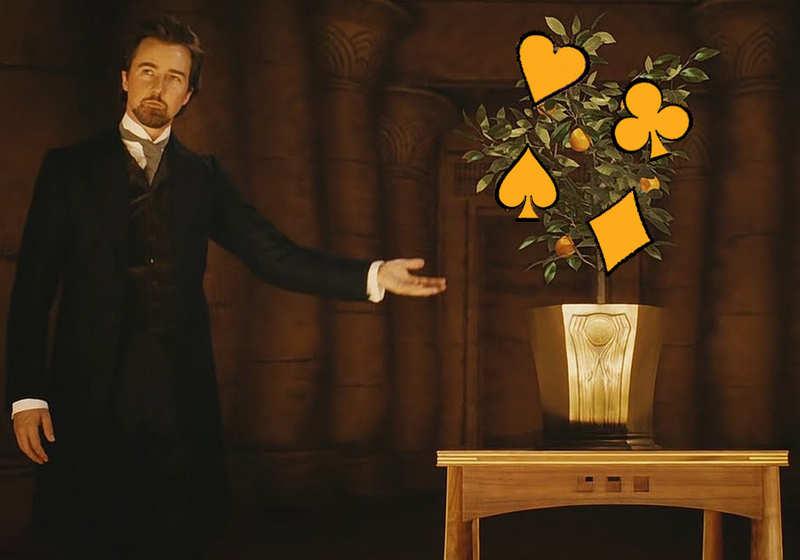 Jean-Eugene Robert-Houdin's "Marvelous Orange Tree" illusion (which was featured prominently in the film, "The Illusionist") serves as the inspiration for this effect. 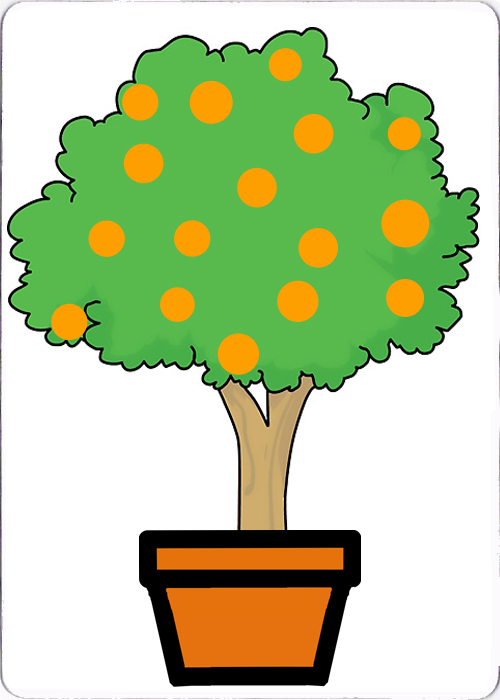 A sapling sprouts out of an empty flowerpot. Then the sapling grows into a full grown tree. The tree then bears fruit... oranges appear on the branches. 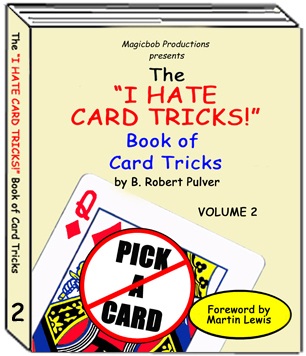 Includes an optional "kicker" ending where the oranges disappear from the card and "real oranges" (marbles or candies) are produced. 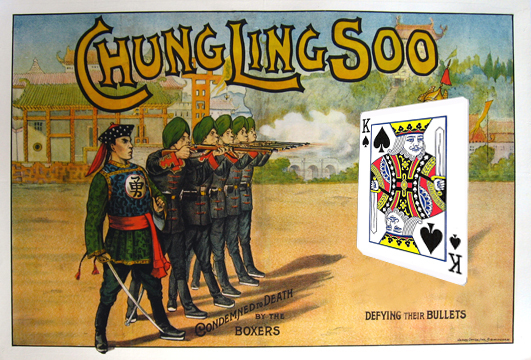 A packet trick themed after Robert-Houdin's "Marvelous Orange Tree" illusion. 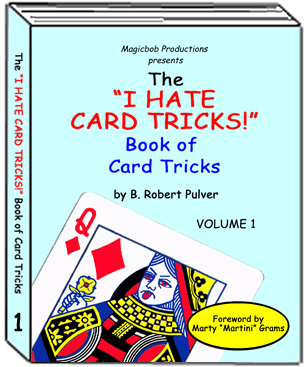 This effect was inspired by Goldin's Buzzsaw illusion. 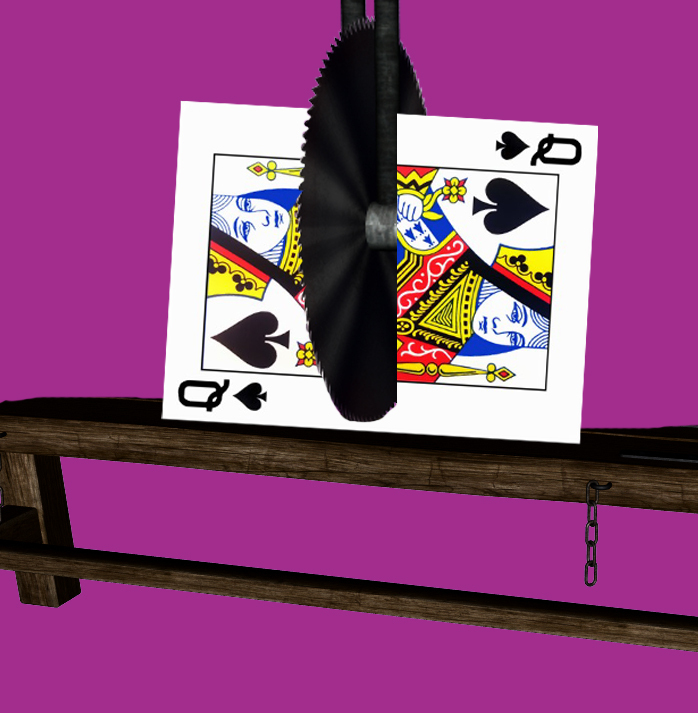 A solid card passes through a circular saw, magically being sawed in half. The two halves are placed back in the apparatus. 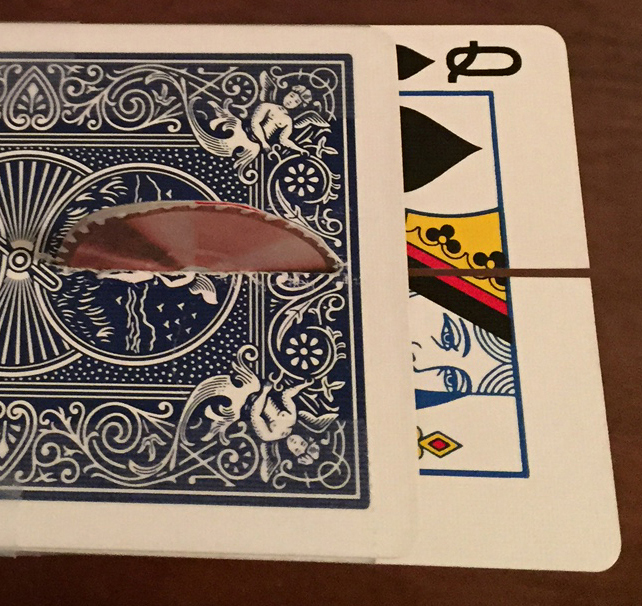 The saw blade is withdrawn and when the card is removed, it has been restored to its former solid state. 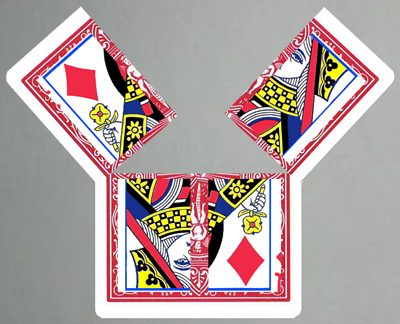 This effect is based on the "Dagger Head Chest" or "Arrowhead" illusion. A signed card is placed inside a "dagger chest." 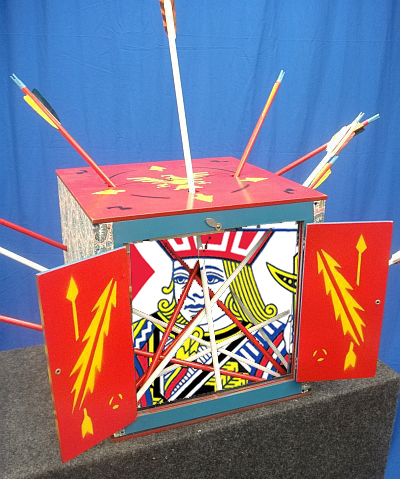 "Daggers" are inserted into the chest. 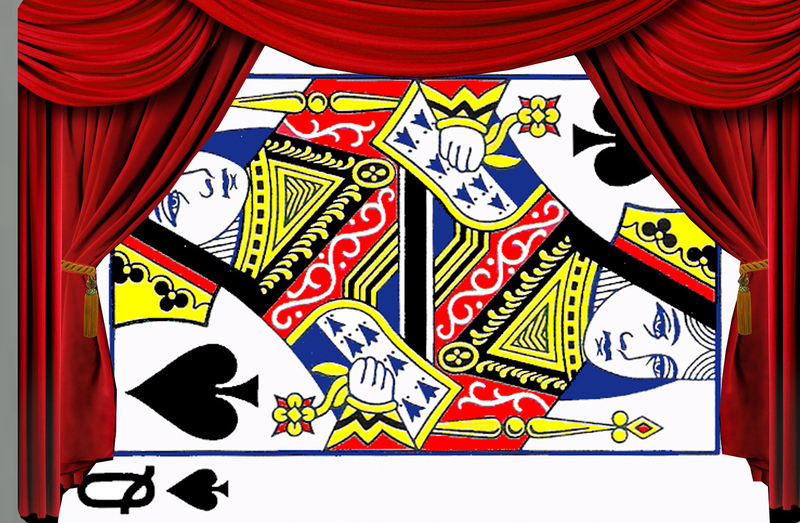 When the door is opened, the card's head has vanished into thin air! The daggers can clearly be seen passing through the otherwise empty cabinet. The door is closed and the daggers removed. The card is taken out of the cabinet and shown to be complete again. An empty card box is covered with a silk. A card takes form and emerges from under the silk. A Queen has appeared out of thin air. The effect is repeated until all four queens are produced (any cards can be substituted). The card box is covered a final time. When the silk is removed the box contains an entire deck of cards.